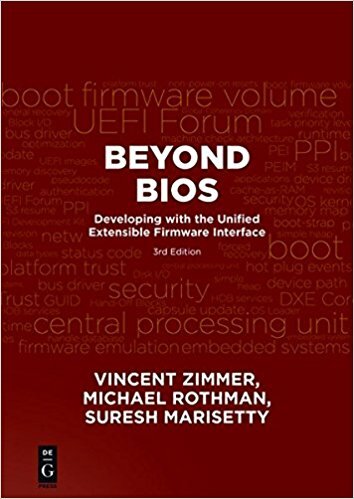 Head here to get the latest UEFI plugfest presentations on a variety of topics, although security dominates the topic list, with top notch presentations by Insyde, Intel (and here), ARM, Phoenix and Microsoft. The presentation by Microsoft is a redacted version of what was presented live because it contained details about unreleased versions of the Windows operating systems. After security, it was programming languages, with presentations by Intel for ACPI Source Language (ASL) and MicroPython. My presentation focused on adapting Microsoft's Security Development Lifecycle to UEFI and firmware, based on our ongoing experience at Insyde. Conversations afterward showed a great level of interest in introducing these processes into an industry that has traditionally not worried about this level of discipline in security. 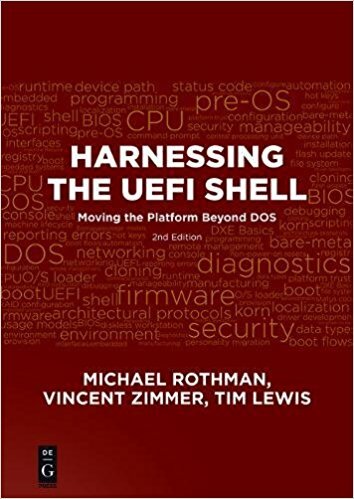 Rounding out the topic list was the state of UEFI (the illustrious Mark Doran, Intel), SMBIOS and ACPI table construction (ARM), EDK2 platforms (Linaro), UEFI capsule update (Microsoft), and NVMe (AMI).